Make any bottle of wine Halloween ready. 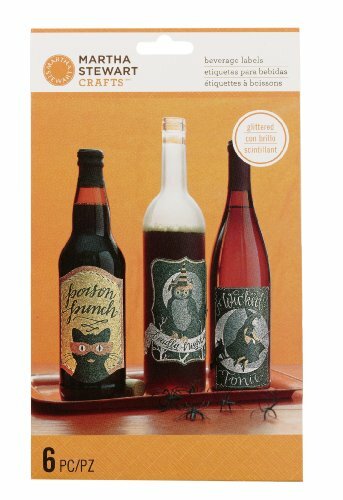 Apply these spook-tacular Animal Masquerade Wine Labels from Martha Stewart Crafts to your favorite beverages to transform them into part of your decorations. Includes 6 labels in varying sizes. Make any bottle of wine Halloween ready. 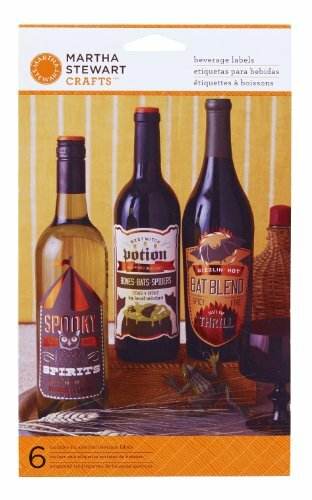 Apply these spooky Carnival Wine Labels from Martha Stewart Crafts to your favorite beverages to transform them into part of your decorations. Includes 6 labels in varying sizes. Check out our spooky tricks and tips to throwing a great Halloween party. In this video learn how to make your own Halloween wine labels for your next Fall party!